Jim was born on December 17, 1944 to Arthur, who was an axeman and Rose Gale of Nannup. Jim’s involvement with woodchopping began at the tender age of 12 when he became his father’s shadow, helping with the collection to training logs and having a hit when his dad was training to emulate his fathers actions. Jim moved to Bridgetown and began a kicked off career as a timber feller. his passion of the timber game went hand in hand with his love of woodchopping. 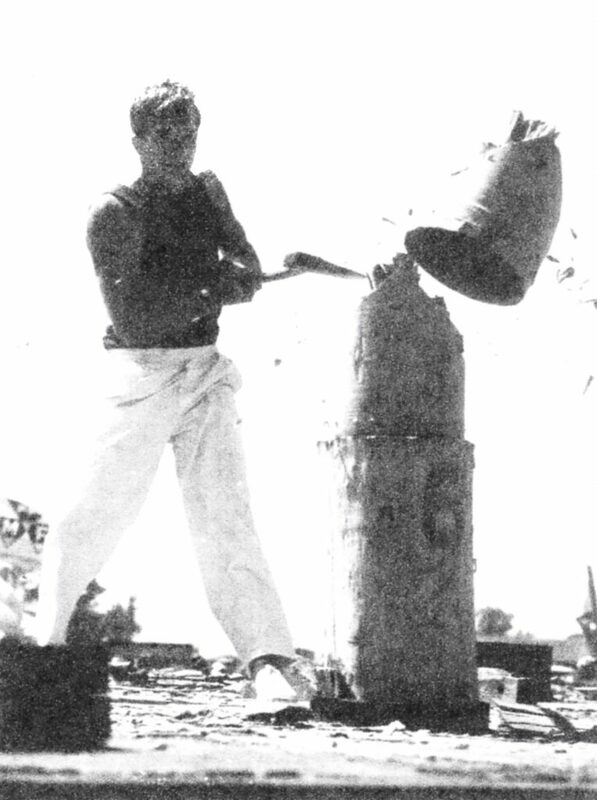 His woodchopping career kicked off on October 24, 1964 at the Brunswick Show. From here his achievements rolled in, winning some of the state’s most prestigious events including the 300mm handicap underhand at the historical Fonty’s Pool annual competition in Manjimup. 17 years later he returned to the Brunswick Show and took out the title of his favourite event, the 3000mm standing block championship. Jim then married Erica and had two daughters Jennifer and Julie Anne. Family life in the Gale household revolved around woodchopping. Today Jim is the proud granddad of seven grandchildren. Jim’s participation in the sport of woodchopping spanned over 36 years, he retired from competition in 2000. Although he no longer pulled on the whites, his involvement with Western Australia woodchopping didn’t stop. He took on numerous roles which involved the organisation and administration of the sport. In 1980 Jim represented the Western Australian Axemen’s League at the formation of the Axemen’s Council of Western Australia. 30 years later he is still a delegate today and has been elected president of the Western Australian Axemen’s League numerous times. Jim is only the third person to be awarded a life membership to the Australian Axemen’s Association. This honour was bestowed upon him in 1988 to commemorate his outstanding dedication to the sport. His long association with the Perth Royal Show as a woodchopping coordinator, chief ring steward and handicapper for 17 years lead to another life membership honour. To add a local flavour and other life membership credits to his bow he was inducted into the Bridgetown Agricultural Society. After 35 years of service to the Bridgetown Local Fire Brigade he was presented with a services medal commemorating his involvement with the community. Jim’s love for the sport of woodchopping has not waned over the years as he continues to be involved in an administration role for the Western Australian Axemen’s League today.